The former pop-up restaurant of Simon Rogan returns, this time as a permanent restaurant on the former site of L’Autre Pied. It will bring elements of Simon’s two Michelin starred cuisine from L’Enclume along with new concepts and ideas. The restaurant will open on 09th January 2018. Bob Bob Ricard’s second restaurant, Bob Bob Cite, is set to open in the City with Eric Chavot at the helm in early 2018. Located on level eight of the landmark Leadenhall (aka the Cheesegrater), the tallest structure in the City of London, the restaurant is set to break new ground in both design and culinary offering. The 180-cover restaurant will be an all-booth dining room divided into seating for between two to eight people. There will also be a further 120-covers in a collection of private dining rooms. Bob Bob Cite will offer a modern British grill menu featuring only the best locally sourced, seasonal produce all cooked over an open flame or smoked in-house. In addition, it offers a restaurant-within-a-restaurant with a nine-seater opulent Japanese dining room serving the finest Edomae sushi. 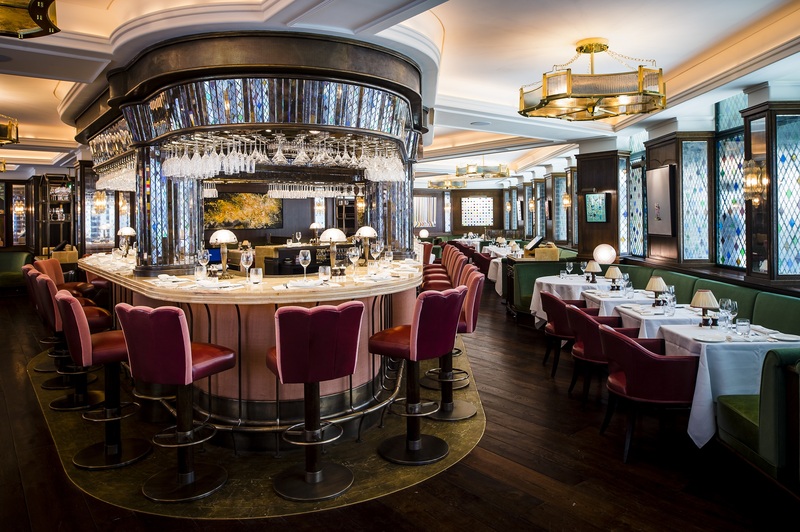 Food prices will be in general similar to those at Bob Bob Ricard where most mains cost between £16 and £30 and it shares the same drinks policy where Bob Bob Ricard is known for offering some of the most keenly priced wines in London. In addition a display at 30 minute intervals will show auction bids whereby diners can compete to buy fine wines starting at cost. This is the grand re-opening of the much loved gastropub and restaurant formerly known as the Truscott Arms. It re-opens under the direction of acclaimed chef Henry Harris of Racine fame. He will bring British food with French influences. The ground floor and garden will remain as the pub, with the restaurant expected to be on the first floor. The Cinnamon Collection, from Vivek Singh, is to open its third ‘Cinnamon Kitchen’ contemporary Indian restaurant, at London’s re-modelled Battersea Power Station. It is expected to open in January. The Battersea Power Station will be an exciting development of restaurants, shops, hotel and Apple’s London HQ. Cinnamon Kitchen will be a 120-cover restaurant over 4,700 sq ft with a feature bar, an open kitchen, mezzanine dining and an outdoor terrace with views on to the River Thames. The chef and general manager behind Barrafina, together with the JKS Group, are set to open Sabor in Mayfair this January. Chef Nieves Barragan and general manager José Etura are set to open their own Spanish regional cuisine. It will open over two floors – the ground floor with dining bar overlooking an open kitchen, whilst upstairs there will be a more communal feel, with larger dining tables overlooking the kitchen below. The menus will concentrate on fresh seafood, cooked using a wood oven or asador. Linthwaite House is set to re-open following a £10 million refurbishment with: New guest rooms in the property’s extensive gardens; all existing guest rooms completely renovated throughout; refurbished Bar & Conservatory where an all-day menu (including pizzas to rival those of Florence); newly created raised wooden Windermere Deck where you are able to enjoy light meals and early evening drinks, new Garden Cabin Bar which overlooks the lawns at the front of the hotel; and an innovative new restaurant called Stella – here guests will be able to experience some of the finest cuisine in the Lake District, based on locally sourced and organic produce that highlights the best of the Cumbrian region and the season, influenced by celebrity chef Ritu Dalmia and her passion for Italian cooking. The hotel is scheduled to re-open in Spring 2018. The Chelsea stalwart, Bluebird Cafe on the Kings Road, is set to open its second restaurant, at the Television Centre, the former home of the BBC in White City, West London. The Bluebird Cafe has been a flagship restaurant for D&D London which owns and operates 34 restaurants and an award-winning hotel. Bluebird is now in its 20th year, named after its historic Art Deco site, the home of the Bluebird Motor Company in 1923. The new Bluebird 5,000 square foot site will include a cafe, bar, deli and outdoor terrace. It is hoped that this will then open the way to more branches of D&D’s Bluebird Cafes around the country. Television Centre is at the heart of an £8 billion ten-year regeneration of the wider White City area, which will form a new hub of activity, creativity and academia in west London. A thriving neighbourhood will see the arrival of new shops, restaurants and educational facilities, as well as the creation of 4,000 new homes, over two million square feet of office space and 20,000 new jobs. The restaurant is set to open in Spring 2018. Although the shop, deli and florist of Petersham Nurseries is already open, the much awaited restaurant in this 16,000 sq, ft venue is set to launch in Spring 2018. Like its original site in Richmond, it brings nature and elegance as a luxury lifestyle to its new Covent Garden location. Brown’s Hotel, one of London’s most iconic hotels, is set to open their new main dining restaurant to replace Hix Mayfair by Mark Hix following its closure at the end of a 10-year tenancy with Rocco Forte Hotels. The former Hix dining room is currently closed for major refurbishment whilst the hotel has opened ‘The Restaurant at Brown’s’ in a stunning smaller room for the interim period (Luxury Restaurant Club member offer available). Excitement mounts about which chef will be selected to headline, although at present everything has been kept closely under wraps with announcements expected in February. For now, all we can announce is that the new restaurant will open in Spring 2018. 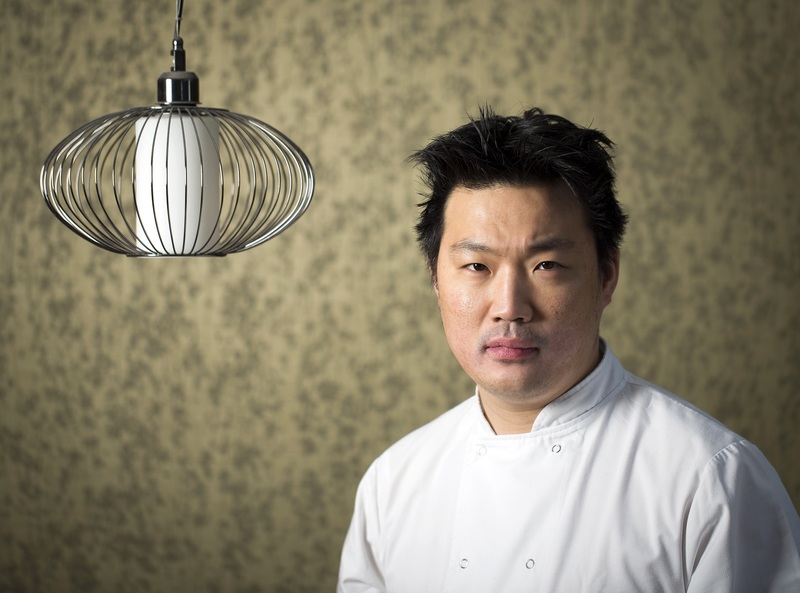 The newly crowned Michelin chef Andrew Wong, aka A.Wong restaurant in Pimlico will be opening a premium casual Chinese restaurant serving an all-day menu – Andrew’s interpretation of classic Chinese dishes – in the Bloomberg Arcade. Set to open Spring 2018. The JKS group, which includes Gymkhana, Trishna and Sabor (above), are set to open Brigadiers, an Indian Barbecue in the Bloomberg Arcade. It takes its inspiration from the traditional Indian Army Mess Taverns where the military regiments went to socialise, eat, drink and unwind. The opening will be JKS Restaurants’ biggest project to date, accommodating a total of 140 covers. Designed by Brady Williams, the reception will lead guests into a myriad of rooms including the dining room, a bar stocked with over 30 different beers and an enviable selection of whisky, a tap room, and a “pot luck ” annexe. In addition private dining rooms, seating between 8 and 16 guests, flank the main rooms. Live sport will be shown on demand across selected rooms at Brigadiers, while a pool table and classic card games will be offered for those who wish to play while they eat and drink. The menu at Brigadiers will centre around methods of Indian barbecue utilising tandoors, charcoal grills, rotisseries, wood ovens and classic Indian smokers. Dishes will be designed to work in harmony with the extensive Brigadiers drinks menu and will be split into four main sections. “Beer Snacks, Nuts and Crisps”; “Chhota Chatpata” (translated as fiery small plates); and “Anda (Egg), Offal, Roti, Rolls, Pav”. The final section, “Sizzlers and Roasts”, will feature mixed grills of kebabs, chops and tikka and feasting options of rotisserie duck, wood roasted suckling lamb and tandoori tomahawk steaks cooked for the table. Brigadiers will open Spring 2018. The team behind Kitty Fisher’s in Mayfair is to open their second restaurant, also named after an infamous society courtesan. Their new Covent Garden venture, opening in Spring 2018 on Henrietta Street, takes its inspiration from the real Cora Pearl, who lived in the area and whose wit and vivacity took nineteenth-century London and Paris by storm. George Barson (pictured), who joined Kitty Fisher’s as head chef in January 2017 having previously worked at Jamie Oliver’s Fifteen, Dinner by Heston Blumenthal and Nuno Mendes’s Viajante, will lead the kitchen teams at both restaurants. Tom Fogg, currently restaurant manager at Kitty Fisher’s, will oversee front of house. Cora Pearl will occupy the ground and basement floors of an historic building in Henrietta Street, accommodating 60 guests, they can expect the same refined, relaxed atmosphere as at Kitty Fisher’s. Richard Caring’s Ivy Collection is set to open an Ivy Brasserie in Manchester as part of a roll out of its more casual cafes and brasseries, bringing the total to 30 by the end of the year. It will offer extensive all-day modern British menus in a relaxed but very smart dining environment. The Ivy Manchester is set to open in Spring 2018. Monkey Island is an island on the River Thames surrounded by stunning gardens and accessible only by a footbridge or boat, is set to re-open after refurbishment under the new management of YTL Hotels. The group owns the Gainsborough Bath Spa, as well as Green Leaf Niseko Village and the most recently launched Ritz Carlton, Koh Samuias. With its pedigree and location to the gourmet mecca of Bray, there is plenty of excitement about the new chapter for this 800 year old haunt of monarchs, aristocrats and artists, with writers, famous performers and Berkshire locals. The 16th Century Michelin-starred country house hotel closed at the beginning of this year for a four month refurbishment, moving the current restaurant from the main house to a new location attached to the manor house. It will re-open on 07th May 2018, giving plenty of time in the summer for diners to fully appreciate the sensational gardens. The former country estate of the third Duke of Marlborough is due to open as The Langley, a luxury hotel and spa. It will be a sister hotel to The Wellesley Knightsbridge. The boutique hotel Grade II listed building with 41 bedrooms will sit in 500 acres of idyllic countryside and impeccably landscaped gardens, originally designed by Lancelot ‘Capability’ Brown. The Langley will offer a collection of dining experiences, including a signature restaurant with an acclaimed chef (to be announced) at the helm, as well as an intimate bar specialising in the finest cognac and cigars. The Langley is set to open in Summer 2018. The Cadogan Hotel is to re-open its doors since closing in July 2014 following a full refurbishment. It will open as only the second hotel in the UK for the Belmond Collection – the other being Le Manoir Aux Quat’Saisons, and is set to be one of London’s foremost hotels. It will include an exemplary dining experience opening directly on to Sloane Street. This brings Belmond to 46 iconic hotels, trains and river cruises encompassing some of the world’s most thrilling journeys and destinations, including the Venice Simplon-Orient-Express. Alain, and father Michel Roux of three Michelin-starred The Waterside Inn, are set to open a relaxed bistro-style restaurant at the site of the former iconic Skindles Hotel in Taplow. The food will be very different from The Waterside Inn, but still French in style and high-end riverside dining. Roux at Skindles will include an open kitchen serving 50-covers on the ground floor, with a terrace outside accommodating a further 20. A bar will be created on the first floor, serving a range of wine and cocktails from an open list, alongside sharing plates. The restaurant will form part of a new Berkeley Group development called Taplow Riverside, a project that will include 139 residential properties and a 60-unit care home with riverside access and a marina. The restaurant will be open for breakfast, lunch and dinner. Roux at Skindles is set to open in October 2018. This will be one of the most awaited openings of a hotel in the UK followed its delayed launch to ensure every detail is correct. It has been billed to be a ‘World beating hotel’. The transformation of the 18th-century manor house in 400 acres, near Hook, from what used to be a training centre and wedding venue into a 46-bedroom hotel, with suites and cottages and a farm practising biodynamic principles, is nearly complete. No up-to-date details have been released about the dining, which originally had mooted to have had Skye Gyngell at the helm. All will be discovered nearer the time. The launch date for Heckfield Place is given as late 2018. The Grade I listed Georgian mansion house is expected to have fully completed its transformation into a luxurious country house hotel by the Autumn of 2018. Not much is yet know of the dining facilities or whether this will mainly be a wedding venue.